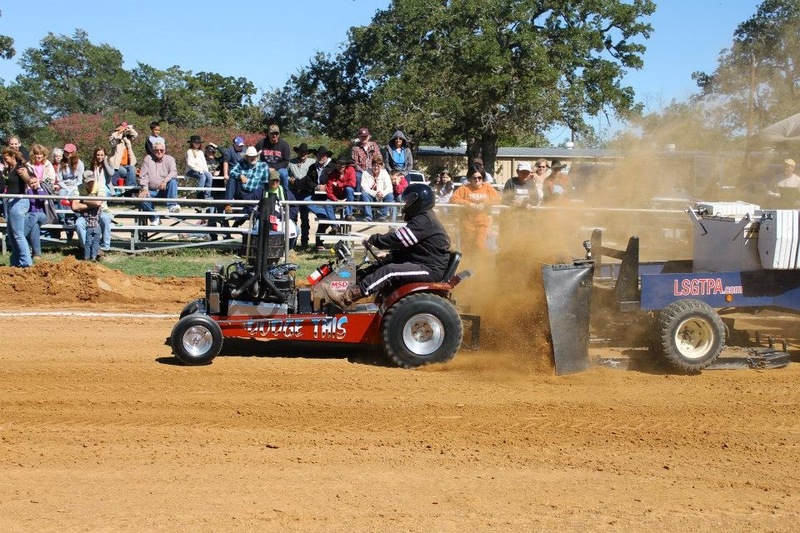 The 2014 season finale for the LSGTPA tractor pulling teams is set for Saturday, October 18th, to be contested during the final weekend of the Rockdale Fair& Rodeo. The event is scheduled for a 12 noon start, located on the historic Rockdale Fairgrounds Horse Racing Track. John Kiemele and the 'Dodge This' Super Rod Tractor will be among the LSGTPA pulling teams competing at the Rockdale Fair & Rodeo event. 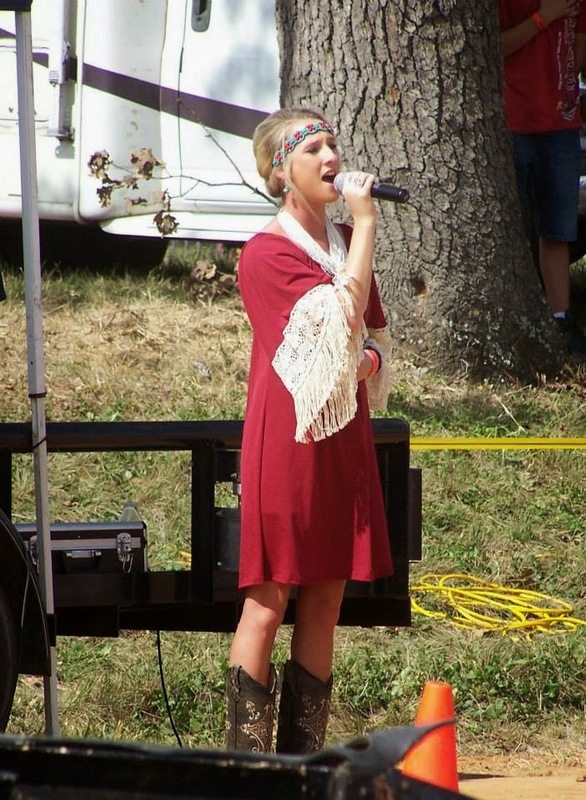 The LSGTPA event will feature 2012 Rockdale Fair Queen and performing artist, Emily McCoy, performing the National Anthem during opening ceremonies. 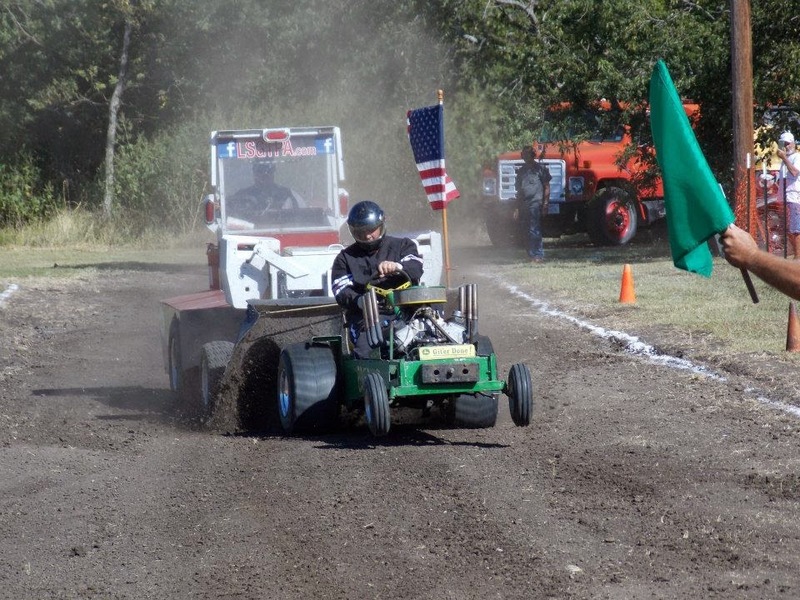 Ten classes of tractors will be competing, in two rounds of tractor pulling action, to determine the final event winners and 2014 LSGTPA Champions. 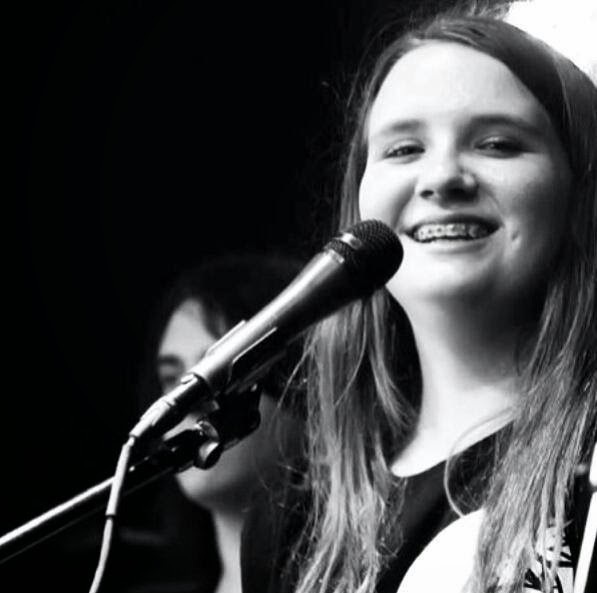 Emily McCoy will perform the National Anthem during opening ceremonies of the LSGTPA 2014 Season Finals in Rockdale. Wills Point, Texas was established around the settlement of William Wills around 1846. The mixture of black and gray clay soils, along with red clay and sandy hills of the area, had long been a favored area for both Caddo and Cherokee Indian tribes. By 1958, the Sabine River Authority had been tasked with the construction of the Iron Bridge Dam and Reservoir, and by 1960 had formed Lake Tawakoni. The Rolling Oaks Volunteer Fire Department had been formed in 1973, to service the community around the Wills Point area of Lake Tawakoni. 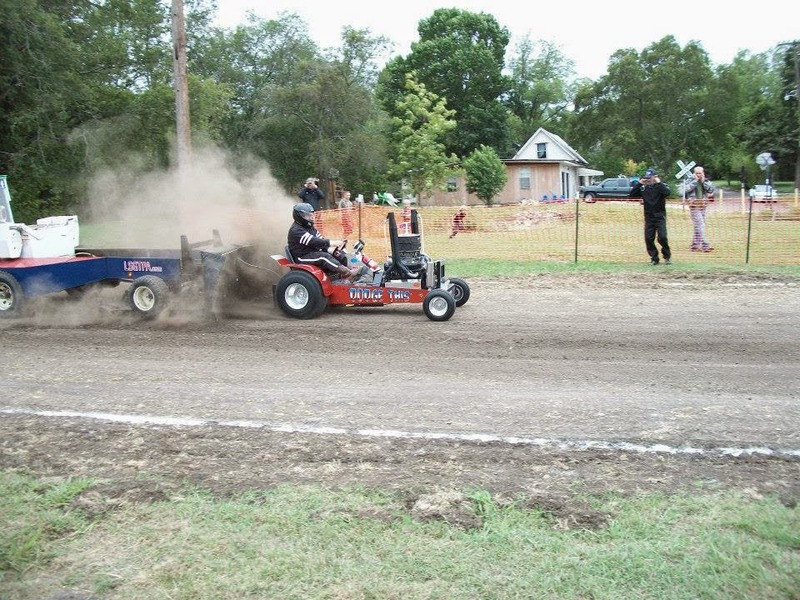 In 2014, the Rolling Oaks VFD served host to the LSGTPA tractor pulling teams, as they attempted to master a 200 foot pulling track, constructed of the dark clay soil of Van Zandt County. 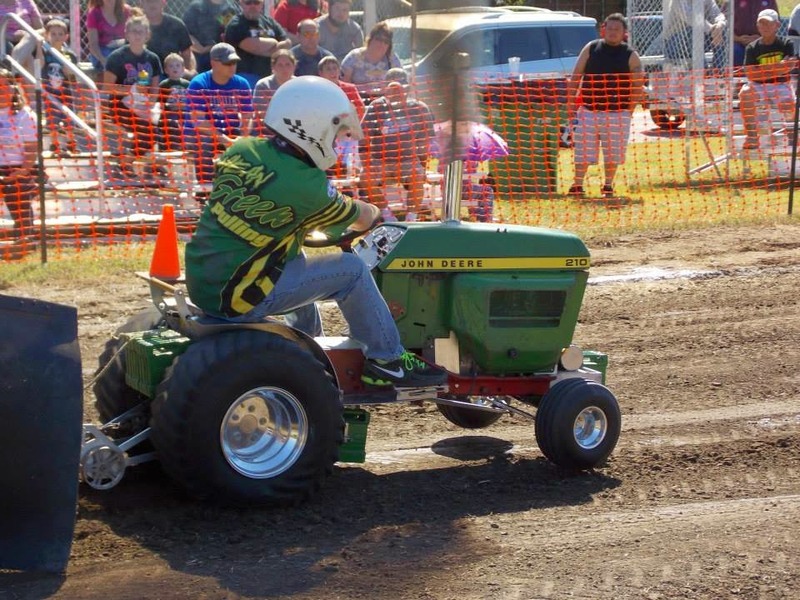 Youth Class tractors took to the track first, with Mason Hovind scoring the win aboard his 'Yes Deere' machine. Jared Stephan drove 'Iron Head' to a runnerup finish, with Kody Langham taking third place. Lane Duncan piloted his 'Texas T-Rex' tractor to a fourth place finish, with Jared Stephan and the 'Rusteze' tractor taking fifth. 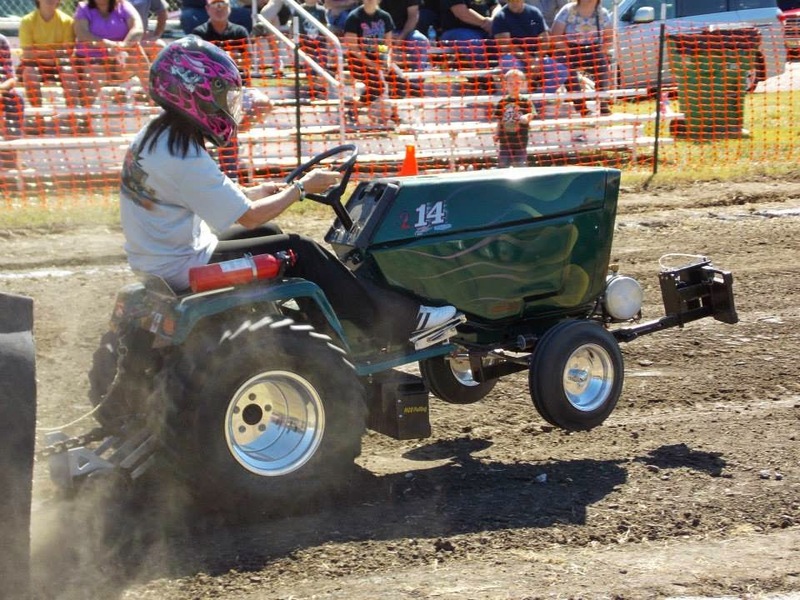 Katie Ellis from the Colorado Garden Tractor Pulling Association scored a sixth place finish. Jared Stephan pilots his 'Iron Head' tractor downtrack at Wills Point. Lane Duncan steers his 'Texas T-Rex' tractor, down a tricky track during the Rolling Oaks VFD tractor pull. Kody Langham wheels the Bonham Service Center entry at the LSGTPA event in Wills Point, Texas. In Stock Class, Aidan Hovind took the win aboard the 'Yes Deere' tractor, with Kolby Langham scoring the runnerup finish. 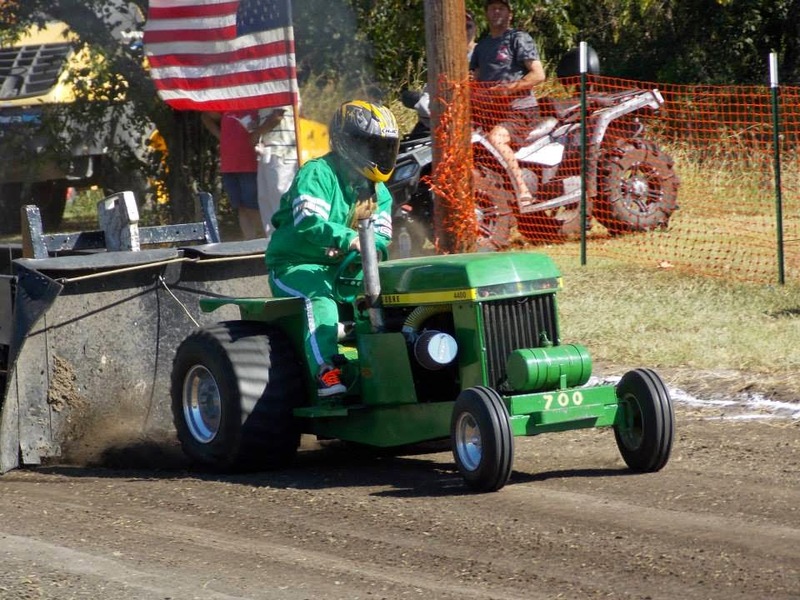 Claude Lewis pulled double duty, driving two tractors to the third and fourth place spots. Aidan Hovind placed the 'Rusteze' tractor in fifth place. Stock Diesel was won by Steve Hovind aboard his 'Buck Shot' tractor, while Ken Langham, Jr. placed second aboard the Bonham Service Center machine. In Big Stock, John Aufdenkamp took the top honors, with Kolby Langham posting a second place finish aboard 'Texas Thunder'. Jerry Toland drove his 'Triple Deuce' to a podium finish in the third spot. 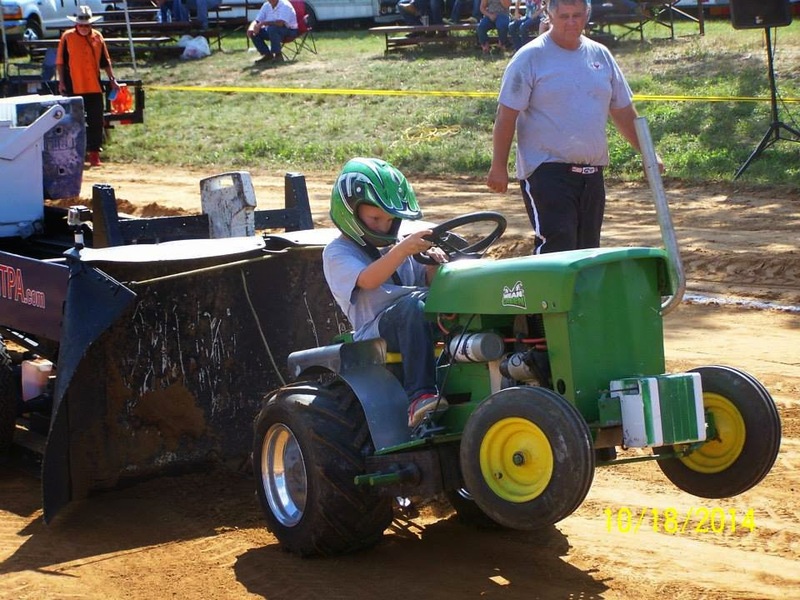 Aidan Hovind rides the 'Yes Deere' tractor to a win at the Rolling Oaks VFD event in Wills Point. 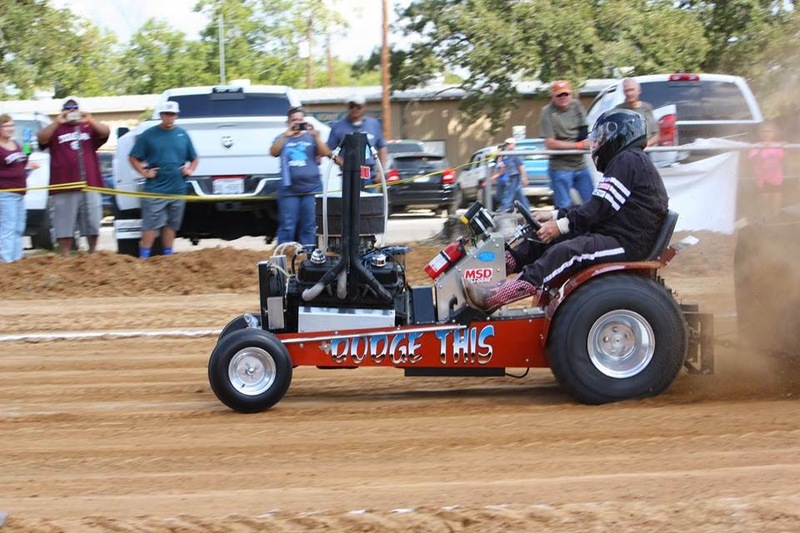 Kolby Langham drags the LSGTPA sled downtrack at the Wills Point LSGTPA tractor pull. Stock Altered Class saw Ken Langham, Sr. taking the win, with John Aufdenkamp finishing in the runnerup position. 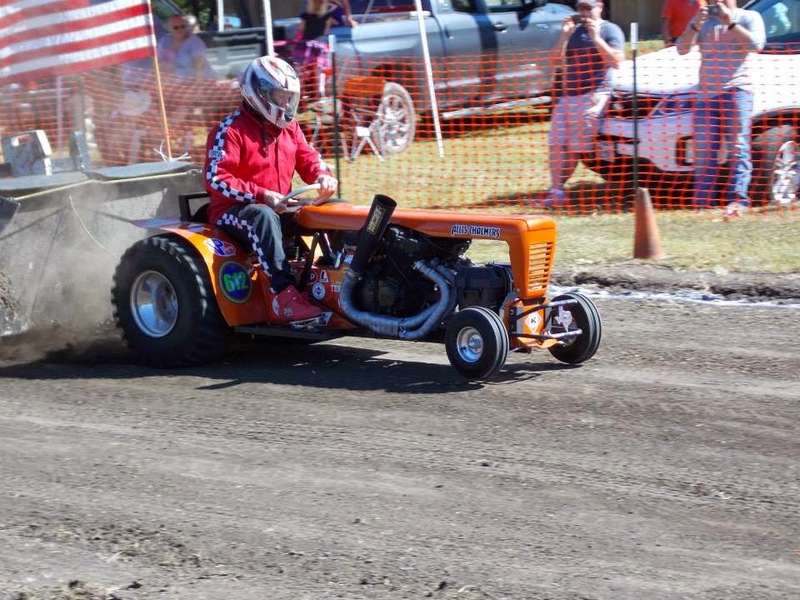 In the Motorcycle Class, Steve Pierce drove his Ducati powered, 'Buzzards Roost' tractor, to the win. 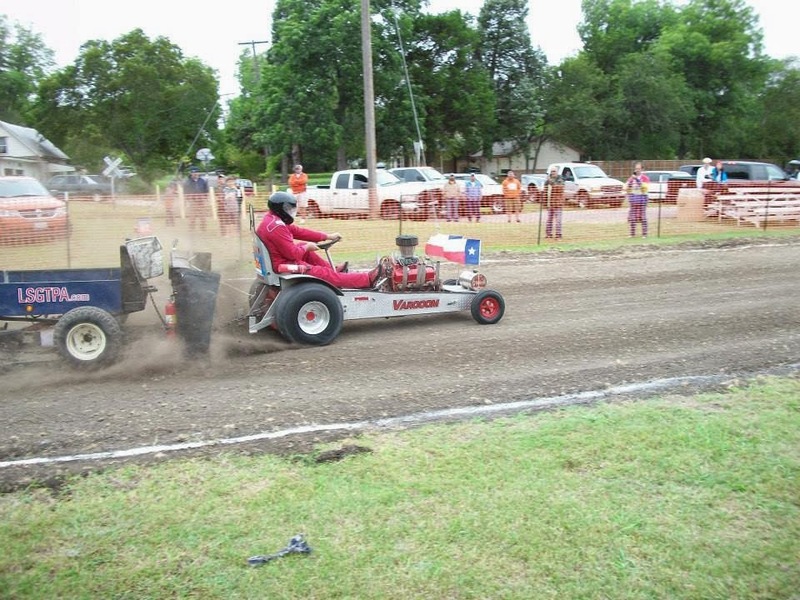 Paul Smith piloted his Suzuki powered, 'Texan' tractor, to the runnerup finish. Steve Hovind leaves the line aboard 'BuckShot', during the Rolling Oaks VFD tractor pull. John Aufdenkamp carries the wheels high downtrack, at the Rolling Oaks VFD tractor pulling event. The Mini Rod Class put on a great show. When the mud slinging had stopped, Colby Crowe and the 'Weekend Warrior' were atop the field in first place. Sarah Moody and her '99% Moody' turbocharged entry finished in the runnerup position. David Houchen drove his 'Back In The Day' machine to a third place finish, while Jerry Toland and the 'Shinin Time' entry finished fourth. Ken Langham holds onto the Bonham Service Center tractor, during the LSGTPA event in Wills Point. Sarah Moody aboard the '99% Moody' turbocharged entry, works her way downtrack during the LSGTPA event in Wills Point, Texas. 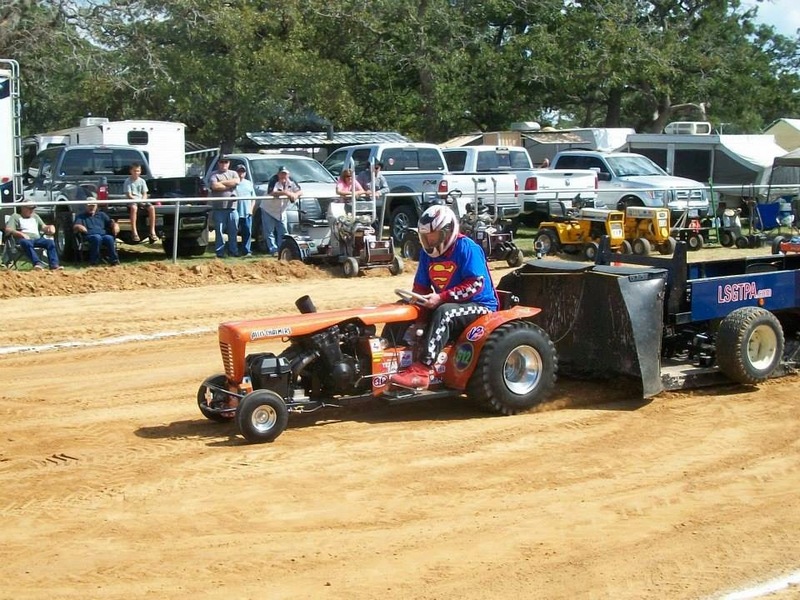 The Super Rod Class tractors closed the show, with Ken Langham, Sr. scoring a win aboard his Bonham Service Center tractor. Tommy Kimmons drove the 'Fired Up' machine to the runnerup finish. Donny Mayo piloted the 'Blackfoot Squaw' tractor to third place, with Randell Moody and 'Ridge Runner' posting a fourth place finish. The LSGTPA teams will now prepare for the 2014 season finale, to be contested during the Rockdale Fair and Rodeo, in Rockdale , Texas. Farmersville, Texas was founded in 1849 by a community of farmers along the Jefferson-McKinney road. By 1873, the town was officially incorporated and had elected John S. Rike as the first mayor. In 1886, the Sherman-Shreveport & Southern Railroad came through Farmersville, and the town became a shipping point for cattle and bois d'arc posts. By the 1930's, Farmersville had become an agriculture trading center, well known for area onion crops. 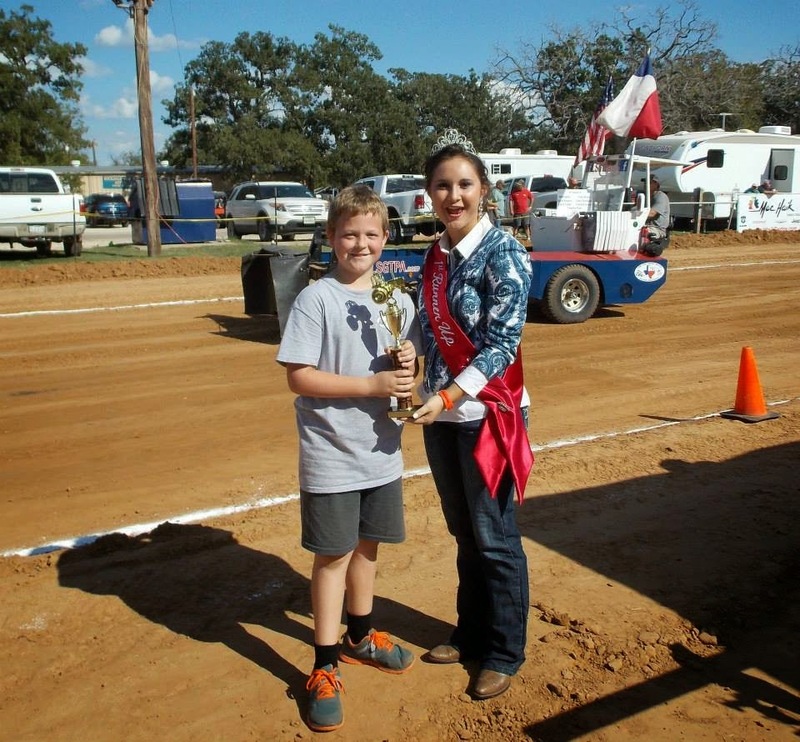 Each year, Farmersville celebrates the town heritage with an Old Time Saturday event, and becomes a stop on the LSGTPA tractor pulling circuit. The track is located at Rike Field, along side the current Kansas City Southern Railroad. 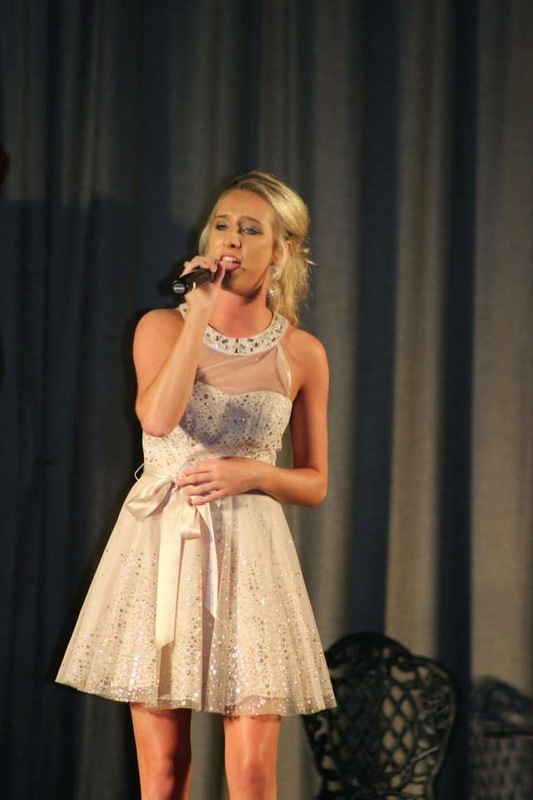 Bailey Melvin opened the 2014 LSGTPA event, with an outstanding performance of our National Anthem. The Youth Class tractors rolled out onto the hard packed track first, with Jared Stephan scoring the win driving the Outlaw Pulling Team entry. Kody Langham posted a runnerup finish, with Jared Stephan finishing third aboard the 'Iron Head' tractor. Mason Hovind pulled his 'Yes Deere' tractor to a fourth place finish, while Lane Duncan wheeled the 'Texas T-Rex' machine to a top five. 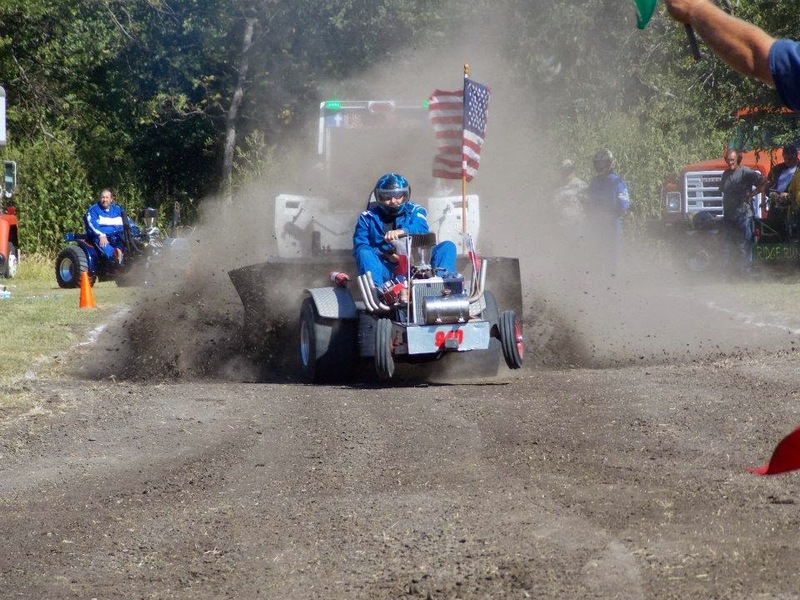 Cassidy Bramlett made her return to competition, scoring a sixth place finish aboard her 'Nacho' tractor. 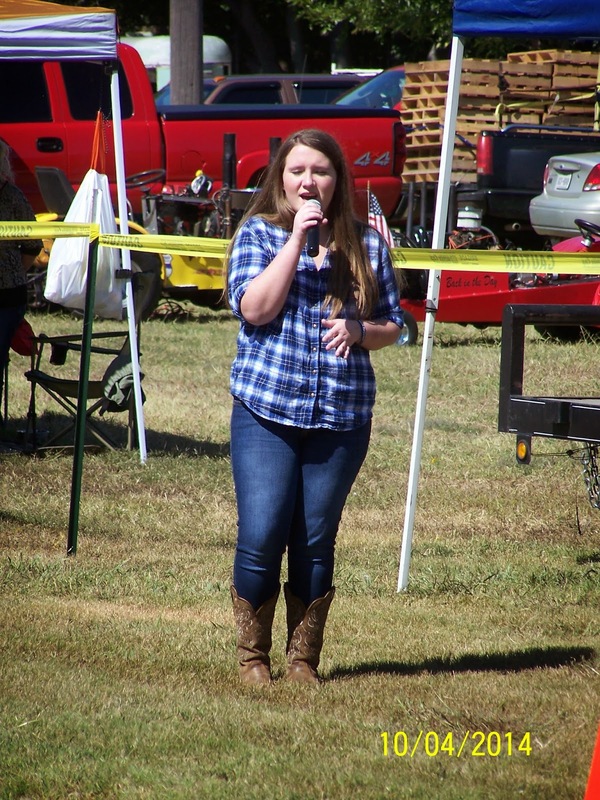 Bailey Melvin performs the National Anthem during the LSGTPA Old Time Saturday tractor pull in Farmersville. In Stock Class, Aidan Hovind scored a Full Pull and the win, aboard the 'Rusteze' entry, while Claude Lewis pulled to the runnerup position. Kolby Langham finished third on the podium, and Aidan Hovind piloted his 'Yes Deere' machine to fourth. Claude Lewis scored a fifth place finish with the 'Skeeter' tractor. In Stock Diesel, Ken Langham, Jr. took top honors in the class. 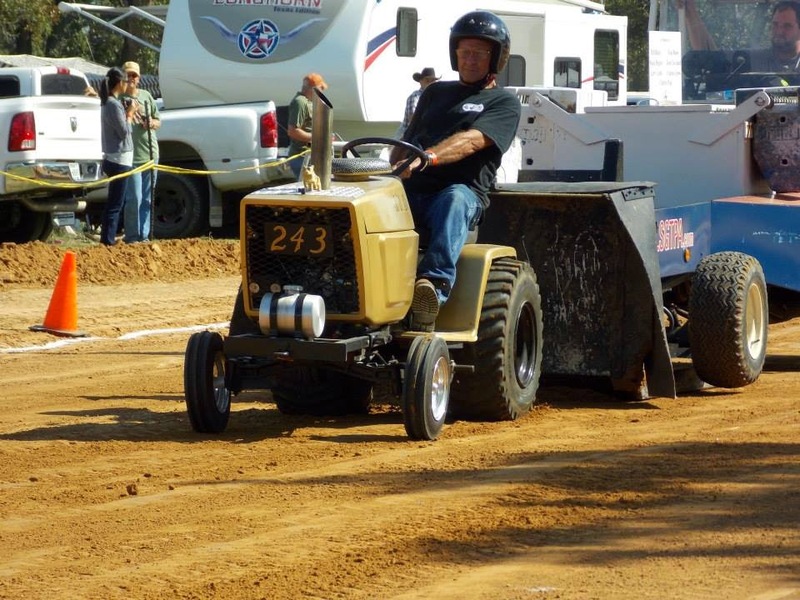 Steve Hovind scored the runnerup, driving the 'Buckshot' tractor. Keith Pope placed his tractor in the third place position. In Big Stock, Alex Jesko took the win aboard 'Overtime', with Patrick Bramlett placing the 'A-Muck' tractor in second. Shawn Aufdenkamp finished in third, with Jerry Toland piloting the 'Triple Deuce' machine to fourth. Alton Degner pulled 'It'll Do' to a top five finish, while Kobly Langham finished sixth aboard 'Texas Thunder'. Kolby Langham hangs the wheels high in Farmersville. Stock Altered Class was won by Ken Langham, using a Full Pull on the 200 foot track to secure the victory. John Aufdenkamp finished second, and Alex Jesko placed his 'Outlaw' tractor in third. Michael Mayberry placed fourth, aboard his 'Pulling For Peanuts' tractor, with Garin Mason placing fifth. In the Motorcyle Class, Steve Pierce and 'Buzzards Roost' took the win, with Paul Smith and 'Texan' scoring the runnerup. In Outlaw Class, Paul Smith and his 'Texan' returned to the track to score the victory, with Garin Mason posting a runnerup finish. Steve Hovind rolls some coal aboard 'BuckShot' at the Old Time Saturday tractor pull in Farmersville. The Mini Rod Class tractors put on a great show, with David Houchen scoring two Full Pulls to take the win, aboard his 'Back In The Day' tractor. Colby Crowe used a Full Pull, to place his 'Weekend Warrior' tractor in the runnerup spot. Sarah Moody used turbocharged diesel power, to place the '99% Moody' tractor on the podium in third. Jerry Toland scored a fourth place finish, aboard the wounded 'Shinin Time' tractor. 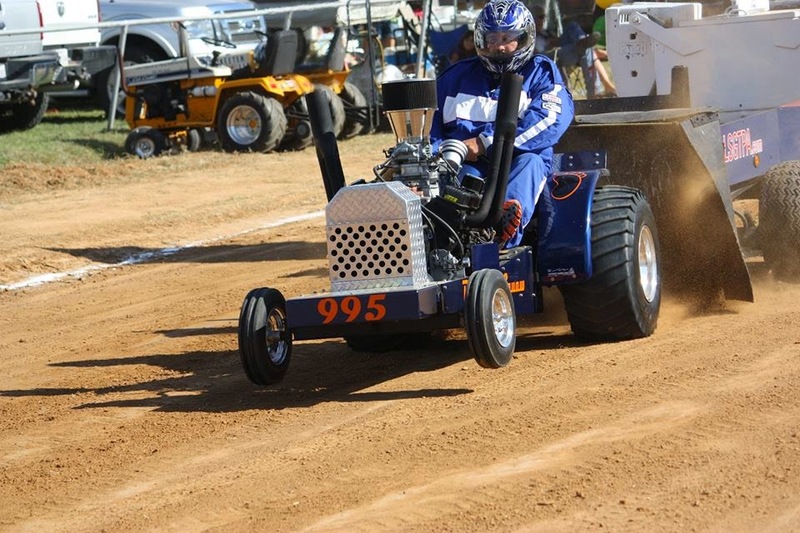 The Super Rod Class tractors closed the show, with Thomas Kimmons taking the win with two Full Pulls, aboard 'Fired Up'. Randell Moody placed the 'Ridge Runner' tractor in the runnerup spot, with John Kiemele taking the 'Dodge This' tractor to a top three finish. Ken Langham posted a fourth place finish, after a wild ride that carried his tractor out of bounds during round one. Donny Mayo and the 'Blackfoot Squaw' machine, also adventured out of bounds on a wild ride, scoring a fifth place finish. Shawn Aufdenkamp heads downtrack at Farmersville during the Old Time Saturday tractor pull. Paul Smith hangs onto 'Texan' during a pull at Rike Field in Farmersville, Texas. 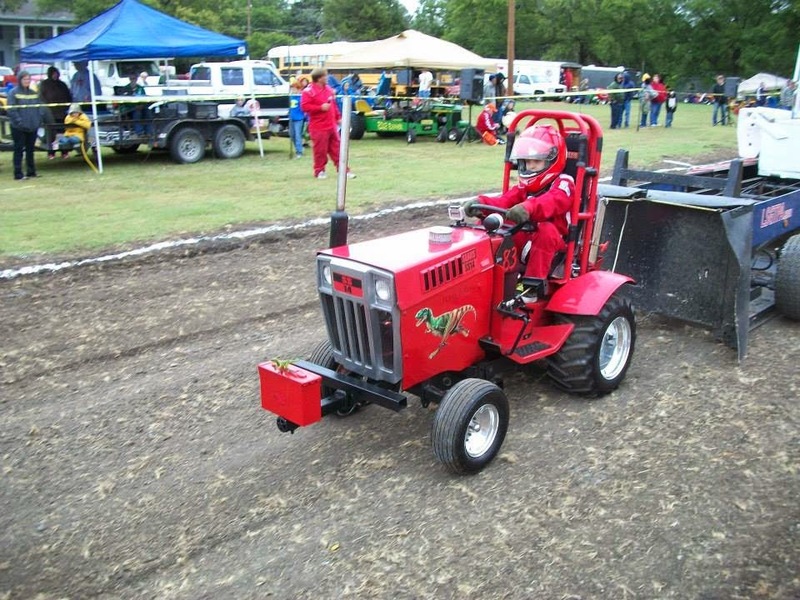 Sarah Moody pilots her '99% Moody' turbocharged tractor down the Rike Field track in Farmersville, Texas. 'Ridge Runner' with Randell Moody at the wheel, in action at Farmersville during the Old Time Saturday tractor pull. Ken Langham takes a wild ride at the Farmersville Old Time Saturday tractor pull. 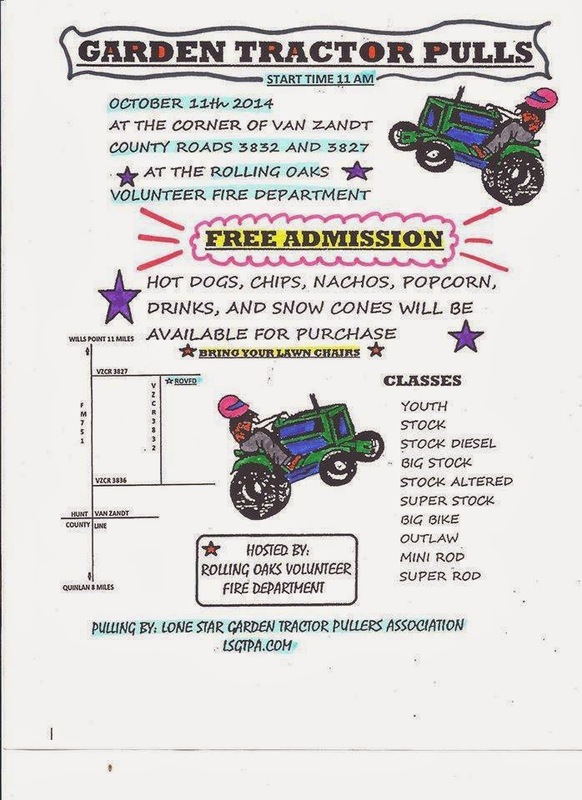 The LSGTPA teams will prepare for the next event, sponsored by the Rolling Oaks VFD in Wills Point, Texas. Visit www.lsgtpa.com for more information. 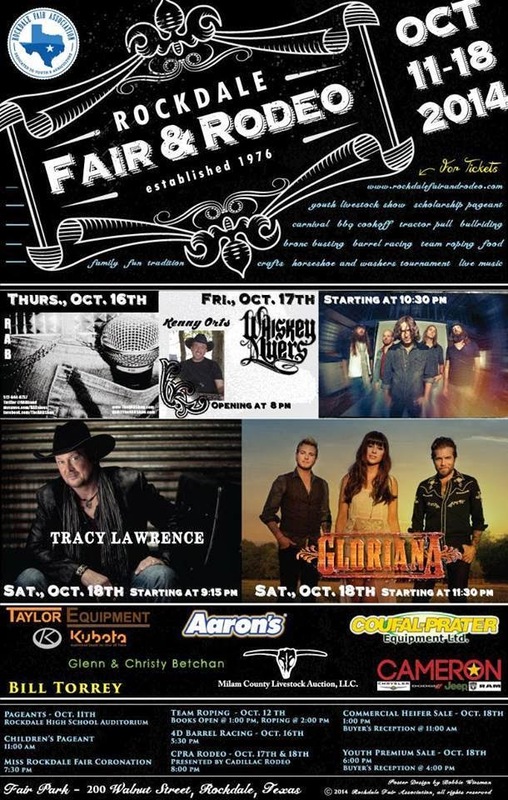 The LSGTPA tractor pulling teams are preparing for the Farmersville Old Time Saturday pull this coming weekend, Saturday October 4th. 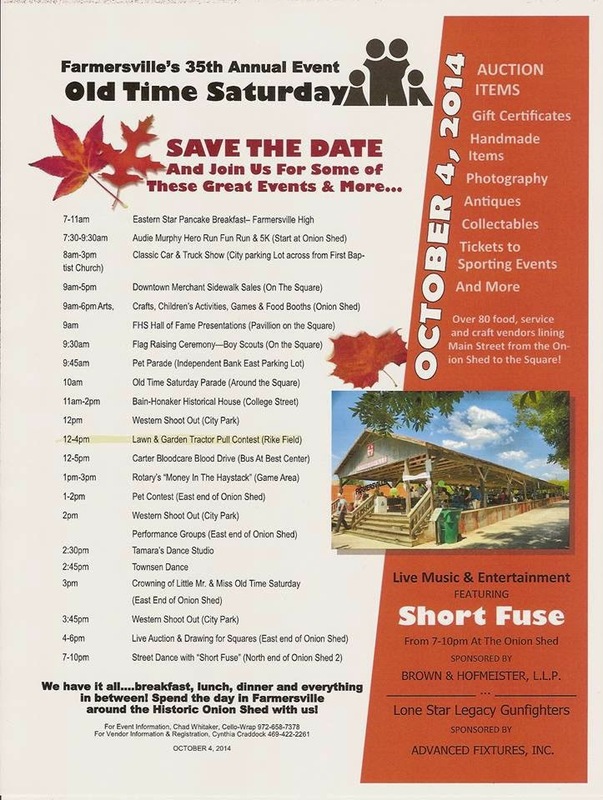 The event will be held in conjunction with the Old Time Saturday festivities, scheduled throughout the day. The pulling event is scheduled for a 12 noon start, and will commence with opening ceremonies which will feature our National Anthem performance by Bailey Melvin. 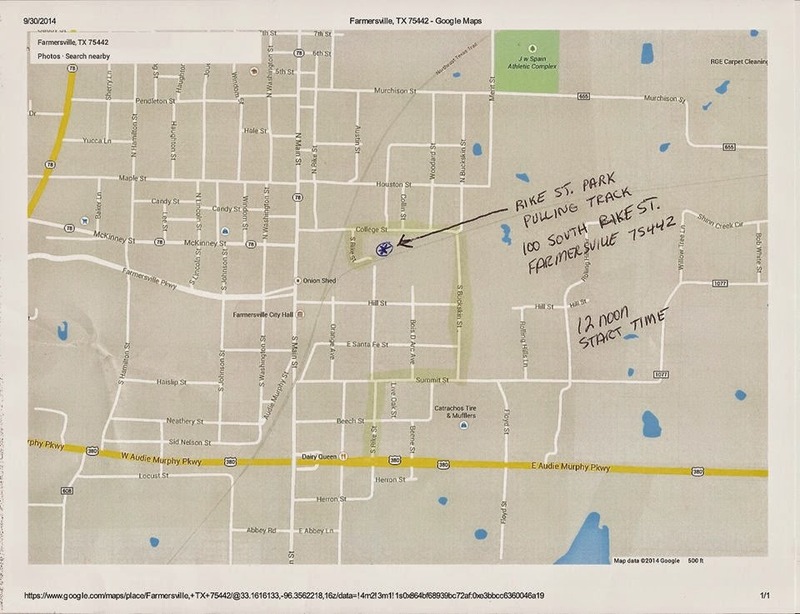 The pulling track is located at the Rike Street Park (100 South Rike Street, Farmersville, 75442). Spectator seating is provided, with free pit access to view the tractors and visit with the drivers. Bailey Melvin will perform our National Anthem, during opening ceremonies of the LSGTPA event in Farmersville. 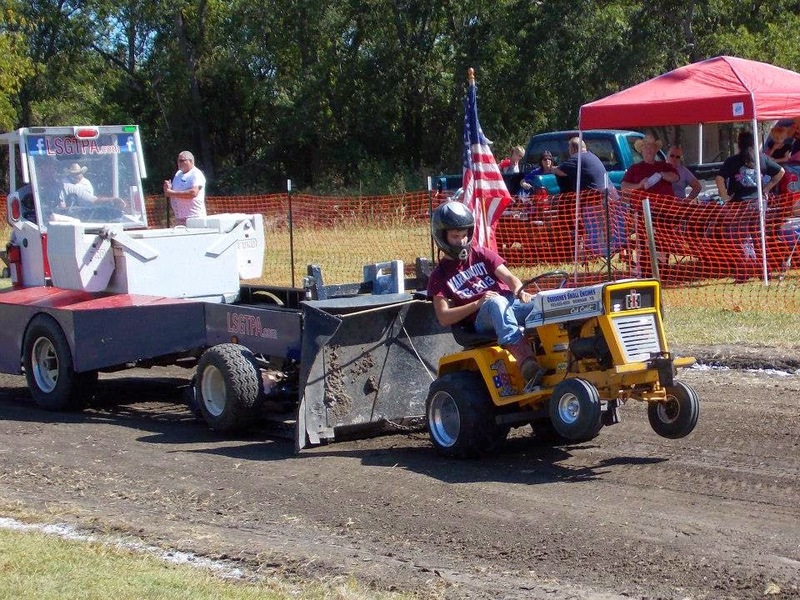 Teams from throughout Texas will compete in Farmersville, during the Old Time Saturday tractor pull at Rike Street Park. Ten classes of tractors will compete in two rounds of pulling action during the LSGTPA event in Farmersville.